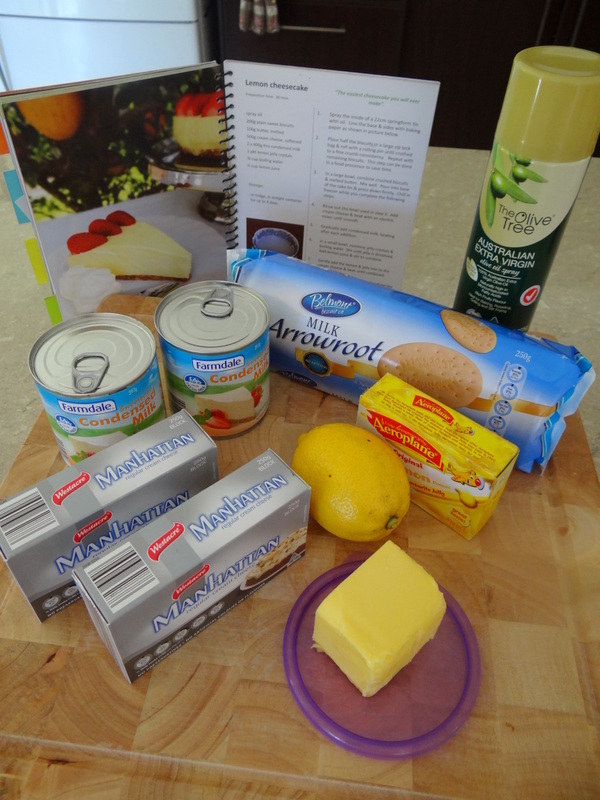 I’m welcoming Amanda from Simple Home Cook is back to the blog with an easy lemon cheesecake recipe. Check out her Apricot Chicken Curry recipe too. 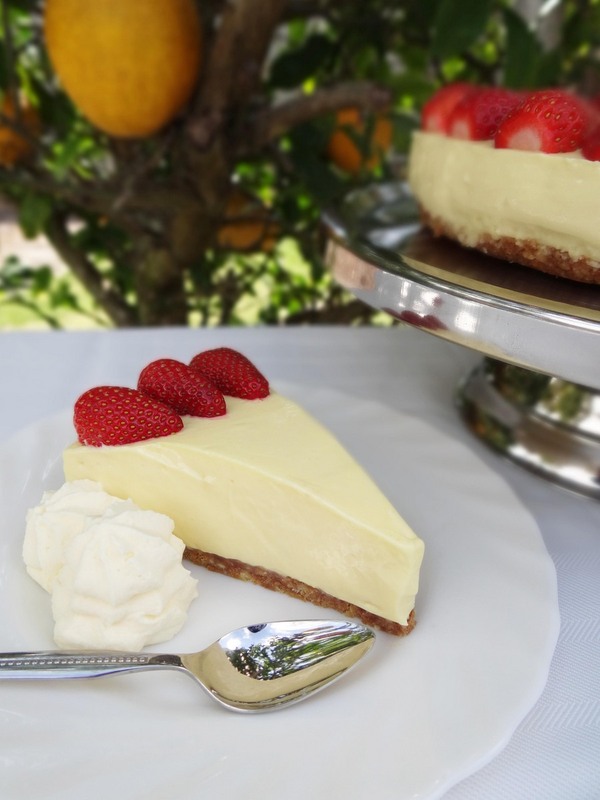 Skip the fruitcake this Christmas & try this refreshing lemon cheesecake instead! This is another recipe from my cookbook Simple Home Cook. It is no doubt the easiest & most delicious cheesecake I have ever made. Using minimal ingredients, it is the perfect recipe for any BBQ, party or family dinner. 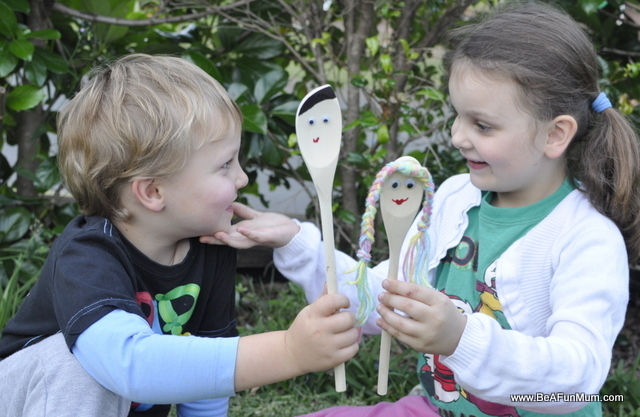 Make it ahead of time to avoid spending time in the kitchen when you have guests – just take it from the fridge & eat! Put it on your menu this summer. 1. 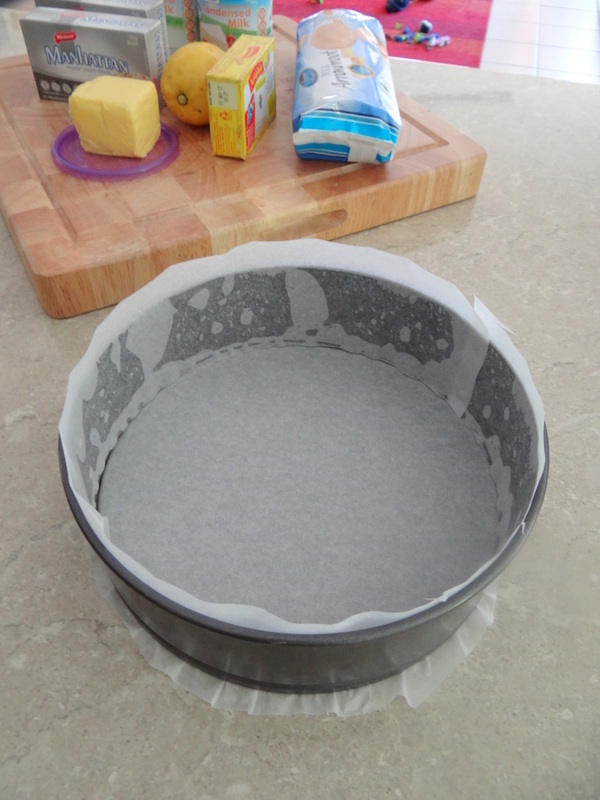 Spray the inside of a 22cm springform tin with oil. 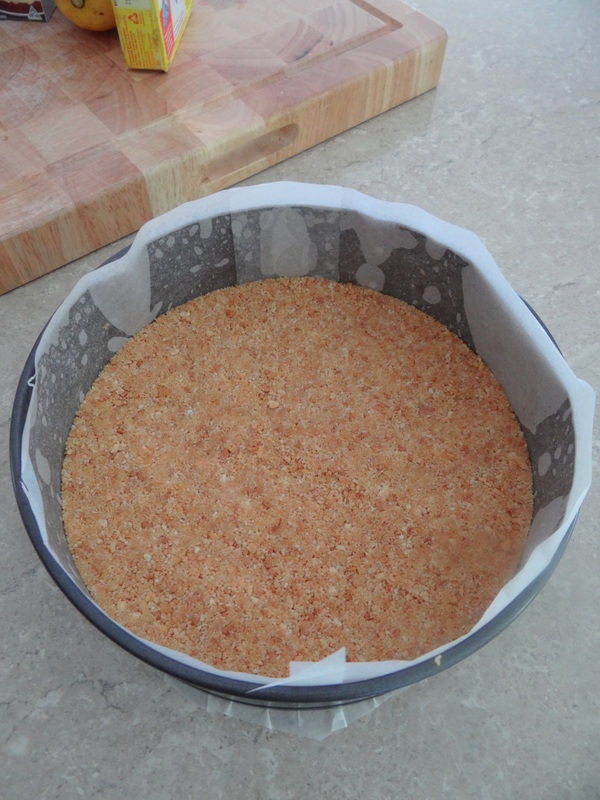 Line the base & sides with baking paper as shown below. 2. 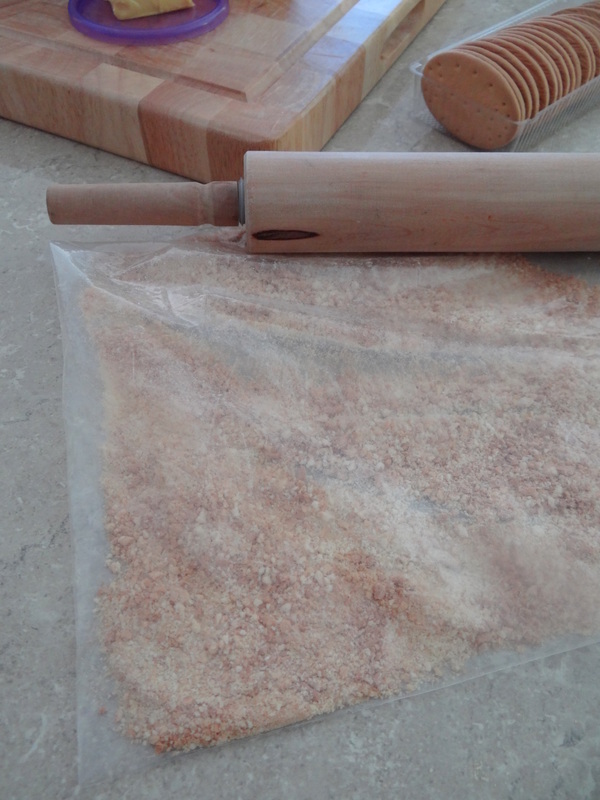 Place half the biscuits in a large zip lock bag & roll with a rolling pin until crushed to a fine crumb consistency. Repeat with remaining biscuits. 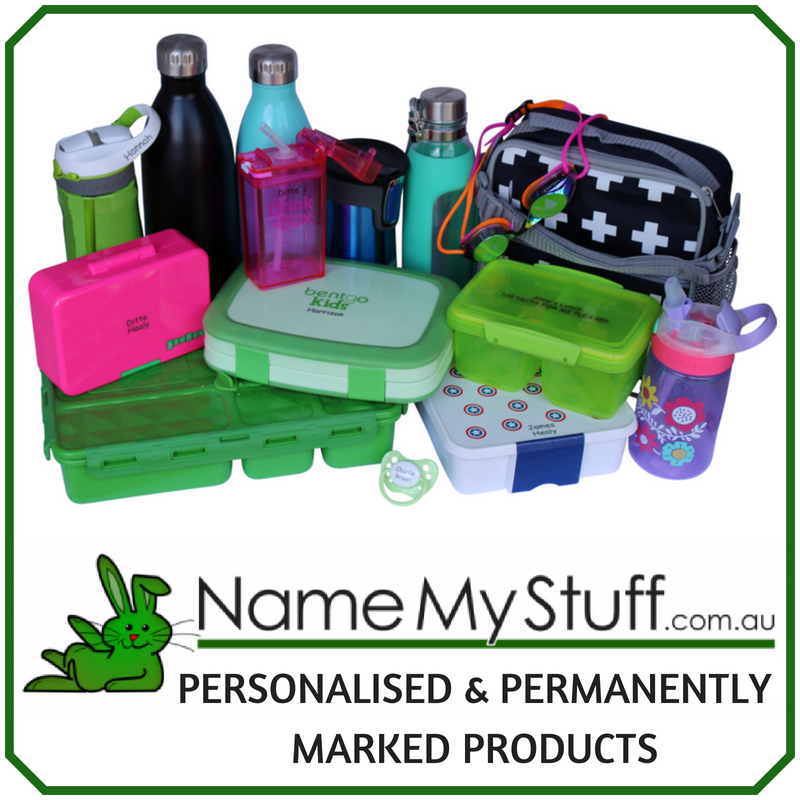 This can be done in a food processor or Thermomix to save time. 3. In a large bowl, combine crushed biscuits & melted butter. Mix well. Pour into base of tin & press down firmly. Chill in fridge or freezer while you complete the following steps. 4. Rinse out bowl used in step 3. 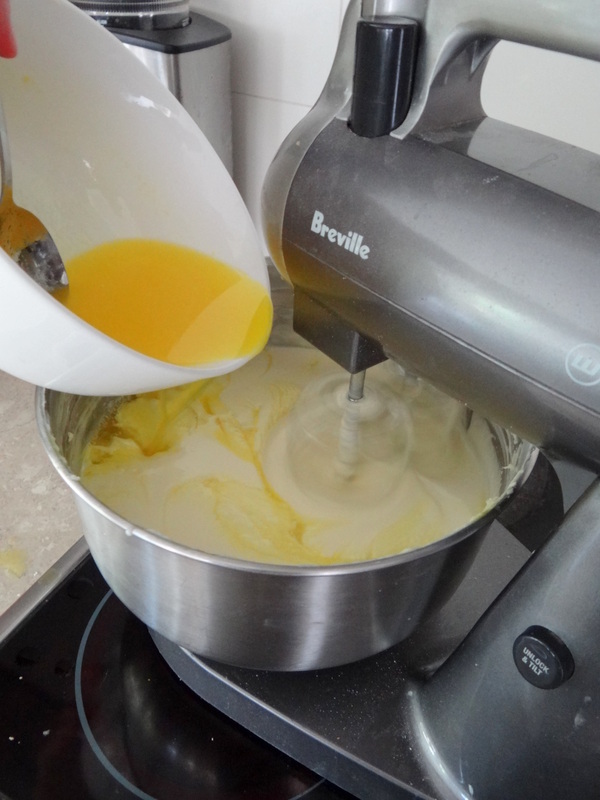 Add cream cheese & beat with an electric mixer. 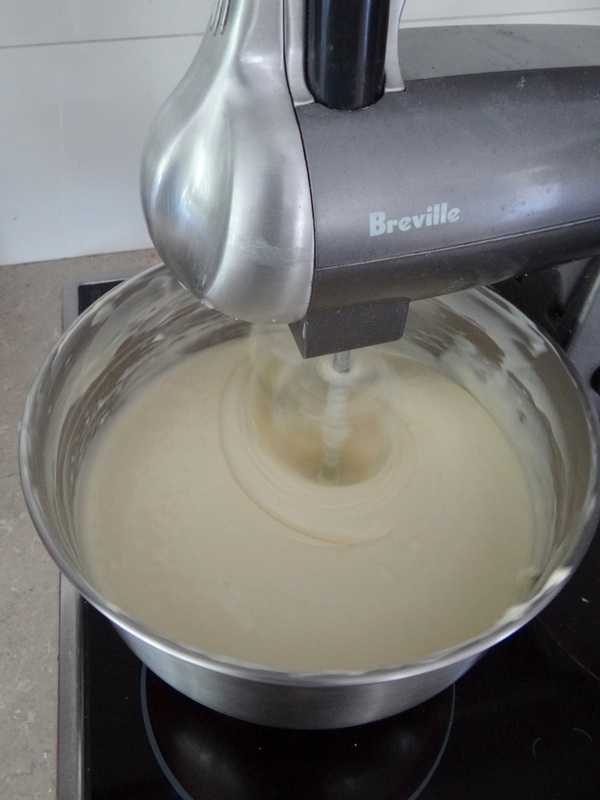 Gradually add condensed milk, beating until smooth. 5. In a small bowl, combine jelly crystals & boiling water. Stir until crystals are dissolved. Add lemon juice & stir to combine. Gently add this to the cream cheese mixture & beat until combined. 6. Pour over chilled base & refrigerate to set. Overnight is best (minimum time is 5 hrs). 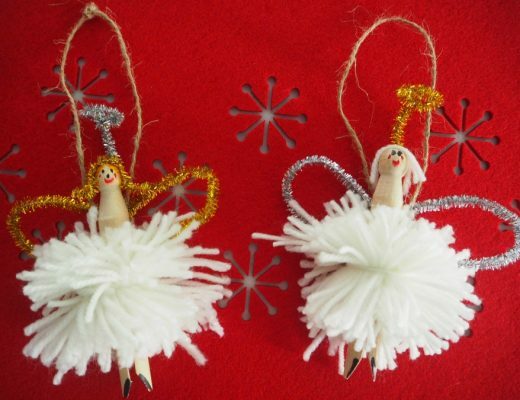 Prior to serving, decorate with strawberries or kiwi fruit. 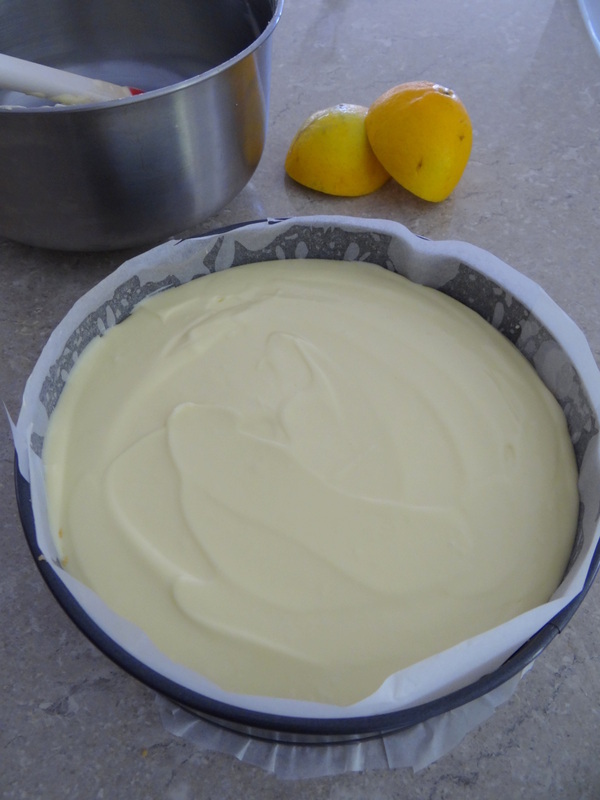 Had so many good compliments aboutGina this easy to make yummy cheesecake – not sickly, just right!